BMW AG will launch a new electric vehicle brand in China with local partner Brilliance JinBei Automobile Co. 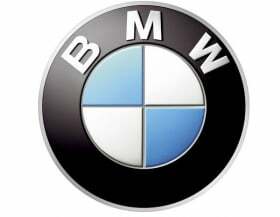 The move is being made to meet joint venture rules, BMW head of sales and marketing Ian Robertson said, confirming a German newspaper report in September. "We will have a new brand, it's a legislative requirement," he told Automotive News Europe on the sidelines of the Tokyo auto show last week. He said the EVs made for China will utilize some of the green powertrains that BMW is developing. He didn't elaborate on the future EV models for China or reveal which powertrains they might have, however, BMW has already collaborated with Brilliance on a plug-in hybrid 5-series concept, revealed at the 2010 Shanghai auto show. BMW plans to launch its i3 full-electric city car in 2013 and its i8 plug-in hybrid supercar is due in 2014. BMW last week signed an agreement to collaborate with Toyota Motor Corp. on next-generation lithium-ion battery technology. Robertson said China wants JV partnerships such as BMW-Brilliance to establish new EV brands because of a desire for the country to grow its exports. "The Chinese auto market is the biggest in the world, but what they haven't really got is an international brand with Chinese origin," he said. "I think there will be a requirement of globalization of a Chinese brand. What's happening is that we're all encouraged to have more brands with a new technology element to it. If that technology is proven to be successful, then there's an opportunity for that brand to grow and prosper." Mercedes-Benz parent Daimler AG signed a contract to develop a new EV-focused brand with Chinese partner BYD Co. Ltd in 2010. The first car from the Shenzhen BYD Daimler New Technology Co. Ltd. venture is expected to be unveiled in April at the 2012 Beijing auto show. Speaking at the Tokyo show, Robertson drew unfavorable comparisons between local EV concepts on the show floor and BMW's i3 and i8 on display. "If you look around here there seems to be a disconnect between design passion and electric vehicles," he said. He said that EV buyers wouldn't accept compromise. "Customers have an expectation to get what they've always had, and get sustainability too. It's not either/or. I think some manufacturers are saying 'Well, OK, if you want to have this, then you can't have what you've had before'."